Phila Duma of Savannah Park is an actor, presenter and award winning photographer. 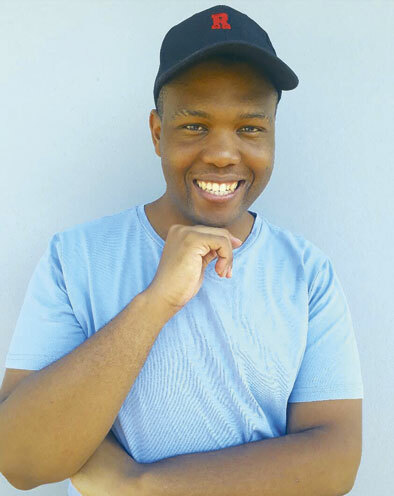 Falling in love with the media industry at a tender age has seen him appearing on SABC’s Yo TV and serving as the master of ceremonies at events such as Mr and Mrs Damelin. Phila is currently working on his self-established initiative ‘Shoot with the Stars’ which aims to give back to the people of KZN by identifying talented local fashion-designers, make-up artists and accessories suppliers and allowing them to showcase their work. Duma shared his journey with The Chatsworth Tabloid. Chatsworth Tabloid (CT): Describe your upbringing in Savannah Park? Phila Duma (PD): It literally took a village to raise a child like me. Especially because I moved from one place to another. I was born in uMlazi township and switched to Savannah Park at the age of 10. The move for me had to make me step out of my comfort zone and expand myself wide enough to change, mainly living and surrounding myself with the Indian community that I’ve loved my entire life. CT: How did you fall in love with photography and the media world? PD: It’s weird because I’ve always had a passion for teaching. I’ve always imagined the classroom as a part of my heaven until I started exposing myself to the media industry, and that’s when my focus took a turn. Even watching the news started inspiring me, listening to a radio DJ filled me up with more inspiration and watching a TV presenter and actor gave me the courage to try it out and fortunately it worked, hence here I am. And in response to my love for photography, there is no major story behind it, I always saw it as an additional gift that I fell in love with and clutched on to. It’s funny because people never believe me when I explain it. CT: Tell us about some of your achievements, any awards? PD: I won an LYD SA award for ‘Best Photographer’ in 2017 and two years later I’m still not over that. Winning that award still means the world to me, especially because I was voted for by the public.Whatever happens, I will always be indebted. CT: You are passionate about giving back to the community, tell us about that? PD: Absolutely. I’m currently working on my self-created initiative called ‘Shoot with the stars’ that objects to boost those who are in the creative space when it comes to beauty and fashion. After conducting a provincial search of make- up artists, fashion stylists and accessory makers, I teamed up with local celebrities to help assist these creatives on having their work reach a wider audience and a potential client base. CT: Are you a morning or afternoon person and why? PD: I hate mornings. I could choose afternoons any-day, but because my jobs necessitate early beginnings I have learned to sacrifice my sleep so I am able to live my dreams. CT: What are some of your long-term ambitions? PD: I would love to start a photography academy at some point in my life. It is time people learned that owning a camera does not instantly turn you into a professional photographer. Our craft is being disrespected and not taken seriously, but it’s nothing education cannot fix. CT: What advice do you have for people from the community who are trying to establish themselves in the media world? PD: You can do anything you put your mind to. Work hard and never allow other people to discourage you.